SZ: You are considered as the ‘recycling face’ of Abu Dhabi because of your wonderful achievements. Can you give an idea of the prevalent waste management scenario in Abu Dhabi? AM: As far as waste management is concerned, winds of change are sweeping across Abu Dhabi. Centre for Waste Management is making commendable efforts in improving waste collection and disposal situation in Abu Dhabi. Separate collection bins for plastic, paper and general waste can now be seen at strategic locations. An underground pneumatic waste collection system is also being designed for Abu Dhabi which would help a lot in dealing with the problem of urban wastes. SZ: What are the major factors responsible for tremendous increase in waste generation in GCC countries? AM: High standards of living, increasing population and consumerism are the major factors responsible for increase in waste generation across the Middle East region. Fortunately, people are doing their best to do away with this problem and everybody is working together for a better environment. SZ: GCC countries have the highest per capita waste generation in the world. What basic measures can be taken to reduce solid waste generation in the region? AM: Source-segregation and mass awareness can be instrumental in reducing waste generation in GCC. Segregated bins is already helping in waste management and educating people to buy less quantity of things and recycling would help as well. 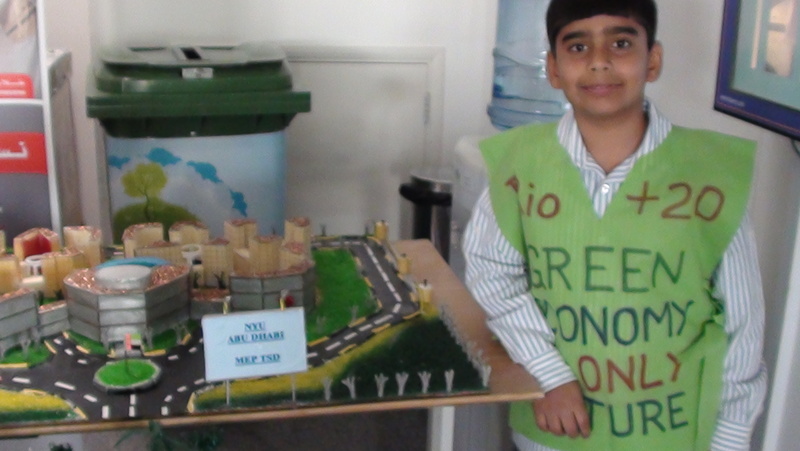 SZ: What is attitude of common people towards waste recycling in the Emirates? AM: A major problem is that people are usually unaware about harmful effects and benefits of waste recycling. The government, NGOs, environmentalist etc are making constant efforts to educate the masses, and I must say that things are beginning are look up. SZ: Keeping in view your first-hand experience in waste management projects, what future do you foresee for recycling projects in the region? Is the government providing enough support in solving the waste management problem? AM: The government has been very supportive, to say the least. It is formulating effective laws, providing funding, organizing community initiatives and motivating the general public to solve the waste management problem. SZ: What is the awareness and interest-level of masses towards waste recycling? AM: Slowly but steadily, people are becoming increasingly aware about the harmful effects of urban wastes and importance of waste recycling. Many schools are taking measures for educating children on how to implement recycling in day-to-day life. Shopping malls and other commercial establishments are also taking measures to minimize waste generation..
SZ: What is your idea of ‘clean and green world’? AM: Making changes to our daily lives to decrease waste generation, reduce global warming and minimizing the use of chemicals that deplete the protective ozone layer. We all must do our share to take care of our planet and not overusing the resources that we all share. SZ: You are a true inspiration for millions of youngsters all over the world. What message/advice you would like to give to students and entrepreneurs?